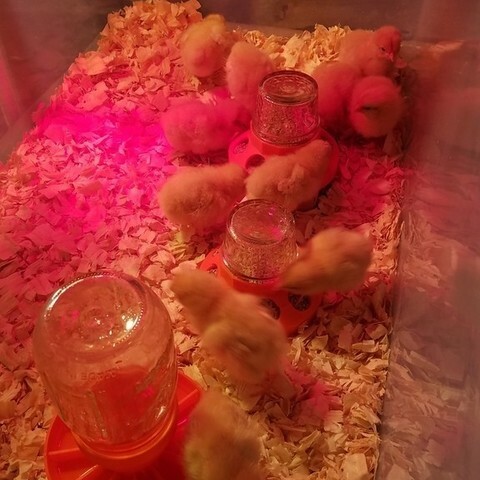 We have some new chicks on the way, and I needed some quick feeders and waterers. We happen to have a lot of Mason and Ball Canning jars lying around, so I thought I would put them to good use. I looked online for some commercial solutions, but didn't really find any that were drown resistant. So I designed this from the ground up. Here is the Chicken watering device that is drown resistant. The Chicks can't plop in and fall asleep below the water level. It comes in 2 pieces. 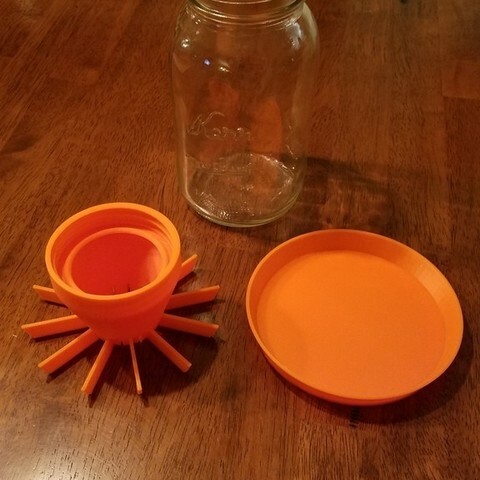 The insert that accepts any size standard mouth mason jars, and the water bowl it sets in. You can use 4 oz, Quart or Pint size jars. But for Cockerels and Pullets, it will also work fine. 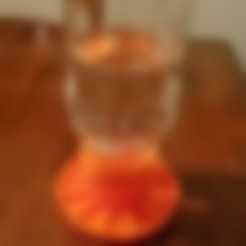 Clean and sanitize it with a mild bleach solution often. I recommend a canning gasket inside the insert to make sure you have no air leaks that would cause the mason jar to empty over the threads. Mine did not need it, so if your's keeps dripping, then use a little silicone (let it dry) or use a small gasket. 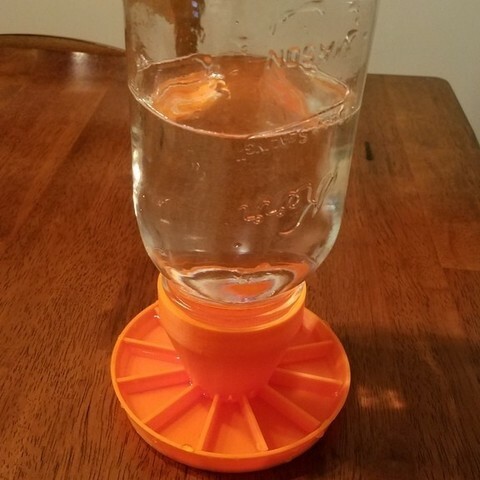 Any size Standard Mouth Mason jar will do to complete this safety waterer.